provide research evidence to support more effective and cost-effective NHS delivery. The resulting report identifies and celebrates 100 examples of positive change resulting from NIHR’s support of research. A synthesis of 100 case studies is provided, which highlights the benefits and wider impacts of research, capacity building, and other activities undertaken with NIHR’s support since its creation in 2006. The report concludes with a reflection of how the NIHR has transformed R&D in and for the NHS and wider health service, and the people they serve. The report draws together – for the first time – examples of the breadth of NIHR’s impacts in a single resource. It will be of interest to healthcare professionals involved in research, academics working in health and social care, and members of the public wishing to understand the value of research in the NHS and the wider health and care system. Our report summarises the impacts and benefits of NIHR’s support for clinical, applied health and social care research and research infrastructure across 100 case studies, clustered across 10 themes of delivery, collaboration and achievement. NIHR is delivering benefits to patients. NIHR is developing innovations that can be delivered throughout the health and social care system, such as more personalised and cost-effective dementia care, the first ever implant of a fully synthetic trachea, new treatments for breast cancer and dedicated partnerships to support research in rare disease areas. NIHR is improving the health of the public nationally and internationally. NIHR-supported public health research is leading to reductions in alcohol-related harm, improving smoking prevention strategies and increasing vaccination coverage for H1N1 and childhood immunisation. Worldwide, more than 1 million people stand to benefit from NIHR-funded research into the off-label use of tranexamic acid to aid clotting during traumatic bleeding. NIHR is making the nation’s healthcare system more effective, cost-effective and safer. NIHR-funded research into patient safety has informed the World Health Organization’s (WHO) Surgical Safety Checklist, which is significantly reducing post-operative complications. Other research is identifying cost-effective solutions that save money in areas ranging from physical therapy, to dementia, to diabetes. NIHR helps put patients and the public at the heart of research. NIHR is a world leader in patient and public involvement, and there have been tangible improvements to how research is able to deliver patient benefit. INVOLVE, NIHR-funded national public involvement centre and advisory group, helps ensure that patients and the public are effectively involved at all stages of research studies, making them more acceptable and meaningful for research users of all ages. NIHR supports a research infrastructure in the NHS. NIHR supports a national research infrastructure of world-class research centres, units and facilities, as well as the Clinical Research Network. Together these provide coverage across the health research system in England and enable and facilitate both research funded by NIHR itself and research funded through charities, industry, and other government funders. In 2014/15, from an initial investment of £227.8 million, NIHR research infrastructure leveraged £1.06 billion in research funding from NIHR’s public, charity and industry research funding partners. This report celebrates 100 examples of positive change arising from the National Institute for Health Research (NIHR)'s support of research over the last 10 years, highlighting how it has transformed R&D in and for the NHS and the people it serves. The PRiSM unit brings together research expertise from RAND Europe and the Policy Institute at King's College London. The PRiSM unit delivers research-based evidence to the National Institute for Health Research (NIHR) to support the NIHR’s research strategy, Best Research for Best Health, and contributes to the science of science policy field in the UK, Europe and internationally. The potential economic benefits of projects funded through the National Institute for Health Research’s Health Technology Assessment programme would go well beyond covering the programme’s costs, according to an assessment done by RAND Europe and based on a sample of 10 projects. An assessment for the National Institute for Health Research of its Health Technology Assessment programme from 2003 to 2013 identified benefits resulting from the research that the programme funded, focusing in particular on its impact on health policy, practice and patients. 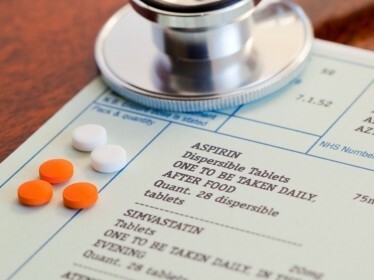 A review of clinical and economic evidence, followed by economic modelling, suggests that the NHS should rethink its policies and guidance promoting 28-day vs three-month prescription lengths. Three-month prescriptions were associated with lower administrative costs and improved medication adherence. The National Institute of Health Research Leadership Programme was established in 2009 to develop the leadership skills and capabilities of current and future NIHR researchers. RAND Europe undertook a 2-year real-time evaluation of the second phase of the programme in 2012-2014. The i4i programme supports the development of innovative medical technologies and their translation into clinical practice. RAND Europe evaluated i4i to identify its impacts and the factors influencing performance. 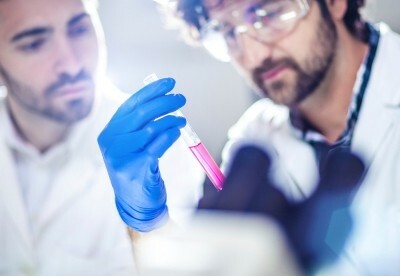 Successful delivery of high-quality health research requires not only an effective research base, but also a system of leadership supporting it. However, research leaders are rarely able to attend formal leadership or management training programmes. RAND Europe evaluated the NIHR Leadership Programme and found it is well received by participants and fills an important gap in academic and clinical researchers’ professional development. The evaluation also recommends areas for further improvement.